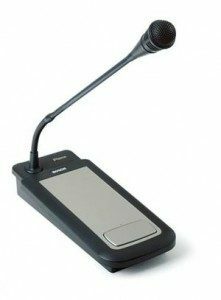 Public address systems or tannoy systems are a low-cost effective way of communicating information to a large area or group of people. RB Grant Electrical Contractors supply, install and repair a variety of PA systems throughout Scotland from our Fife base. Public address systems are also commonly known as intercom systems and tannoy systems. 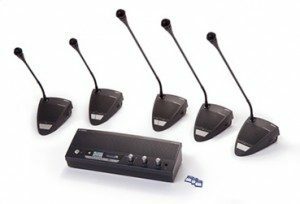 PA systems allow you to address large areas with ease from speaking to a single meeting room to multi speaker conferences, and for stage plays and musical events. For more information, look at our Door Entry & Access Control Systems. At RB Grant we provide a variety of different PA sound systems. In a factory situation or museum we have tannoy which will interrupt the music or pre recorded voice over. We design and install a full speaker system throughout the building giving the appropriate sound level. We can supply stand alone systems which can be used for public announcements if instruction to staff. We also have systems which can alert staff or the public to Fire Alarms or shop closure automatically. If you are looking for a quality PA sound system installation look no further than RB Grant. Call us or get in touch for free advice.